Now that temperatures are continuing to rise, a dip in the pool to cool off your body is needed. But before you do that, you need to make sure first that your pool is ready when you want to jump in. 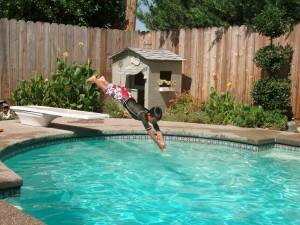 Angie’s List offers some tips on how to keep your pool ready all year round. – Use pool treatment options such as salt chlorine generator or oxidation reduction potential systems. – Talk to an expert and make a list of all the pros and cons of a certain pool-cleaning system to find out which one works best for you. – Add more chemicals into your pool and test it more often to keep your pool properly balanced and the water sparkling clean.